Today Steve Niles has taken some time to tell us about the origin for his hit comic series, 30 Days of Night. 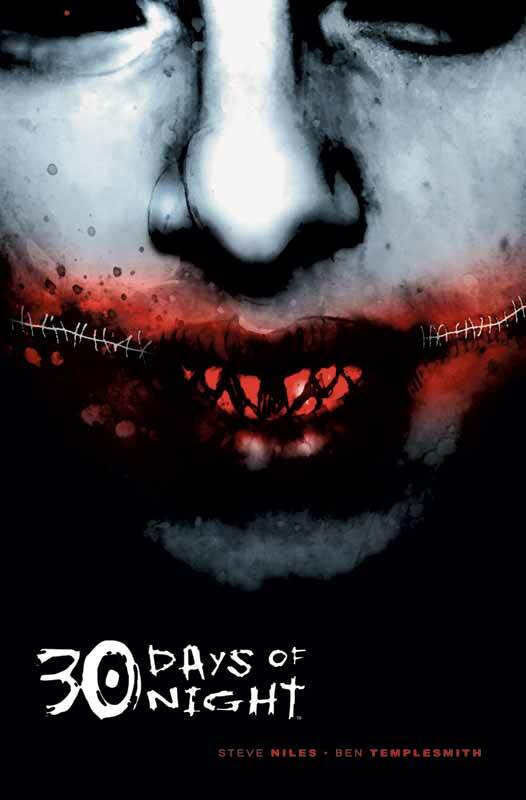 I wish I could say the origins of the 30 Days of Night concept was an exciting, gut-wrenching tale, but I’d be lying. In truth it was the combination of a few simple things. I was living in Minnesota at the time, living through one of their legendary winters. I spent a lot of time talking to Tim Bradstreet about concepts but both of us were struggling to find comic work at the time. We talked a lot about vampires. One day while reading the paper I saw a little article about a town in Alaska that was a dry town. They did not sell alcohol because the fact that is was dark there so long. The town was Barrow, Alaska. I remember tearing out the article and writing vampires in the corner. Seems like a good place for them to hang. As the years passed I tried using the concept here and there. I pitched Vertigo. They said no. Dark Horse, same. I was working retail then so I remember the disappointment. I’d pitched Cal McDonald and Freaks of the Heartland along with 30 Days and all said no. I was stuck in retail. Then years later when I moved to LA somebody convinced me to go out and pitch Cal McDonald as a film. I pitched it around for years and 30 Days of ˜ight was always my back-up when the pitch eventually turned to “So what else you got?” All said no again. They sited Buffy and Blade as the reason. Then in 1999, 2000 Ted Adams contacted me and asked if I had a comics I wanted to do. I sent him my list of rejected ideas. He picked 30 Days of Night. The rest is funny-book history, I guess.